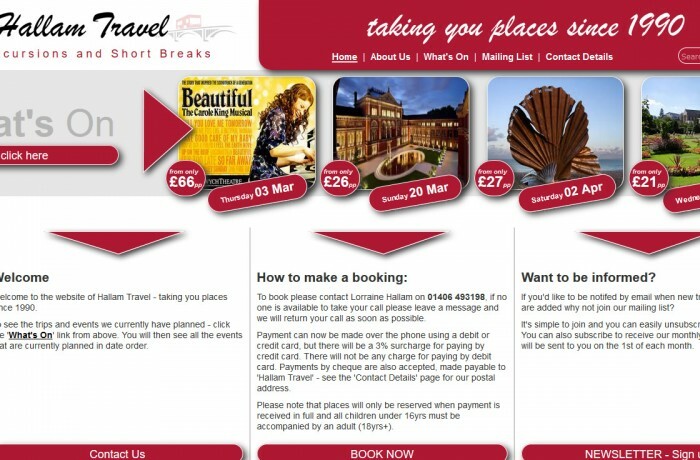 Hallam Travel is a travel agent who specialises in online coach travel for all ages. From concerts to theatre, shopping days to museums. Hallam travel wanted a website that would reflect their professional image and to be able to take online bookings, even on the go, and this is what we created for them.